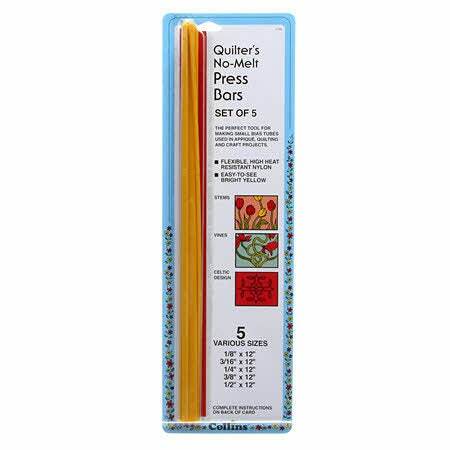 used in applique, quilting, and craft projects. Flexible, high heat resistant nylon; easy-to-see School Bus Yellow. each 12" long. 1/8", 3/16", 1/4", 3/8" and 1/2".